2019 National Park free entrance days offer an extra incentive to visit new and favorite United States parks. 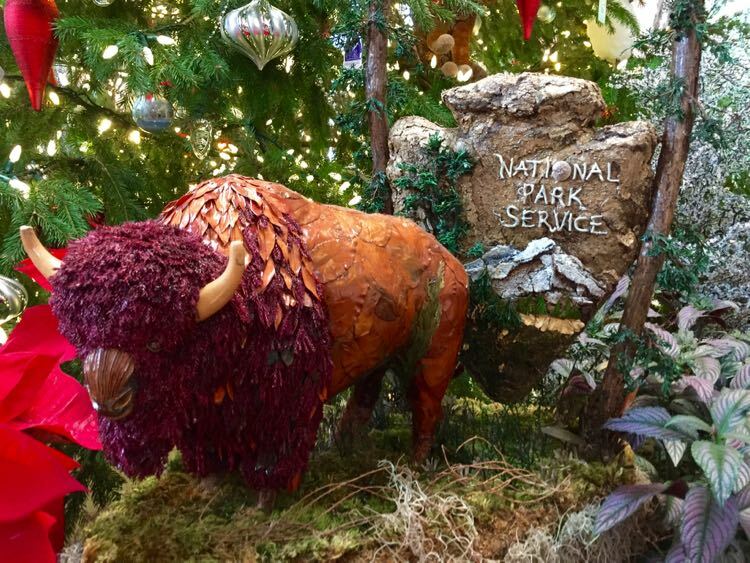 All National Parks waive admission fees, and many host special events for visitors to enjoy. The United States National Park Service establishes several fee-free days each year to encourage the public to visit. There are five 2019 National Park free entrance days, one more than in 2018, but far fewer than in past years. There were 10 fee-free days in 2017, and even more in 2016 when the US celebrated the 100th anniversary of the National Park Service. Still, the five 2019 National Park free entrance days offer the perfect incentive to visit your local parks and save a few dollars in the process. Note that fees for camping are still charged at regular rates on free park entrance days. Since there are only a few 2019 National Park free entrance days, you’ll need to plan ahead to make the most of them. Martin Luther King, Jr. Day is the first of the 2019 National Park free days. Some parks hold special programs honoring Dr. King, with an emphasis on volunteering. Additional free days kick off National Park Week, and honor the National Park’s birthday, National Public Lands Day, and Veterans Day (scroll down for a list of dates). 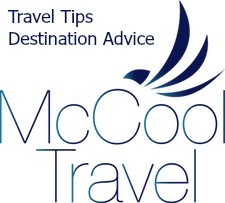 It’s nice to visit when entry is free, but if you live in the Northern Virginia and Washington DC area you should also consider buying an annual pass. You’ll get your money’s worth with only a few repeat visits to our local parks. 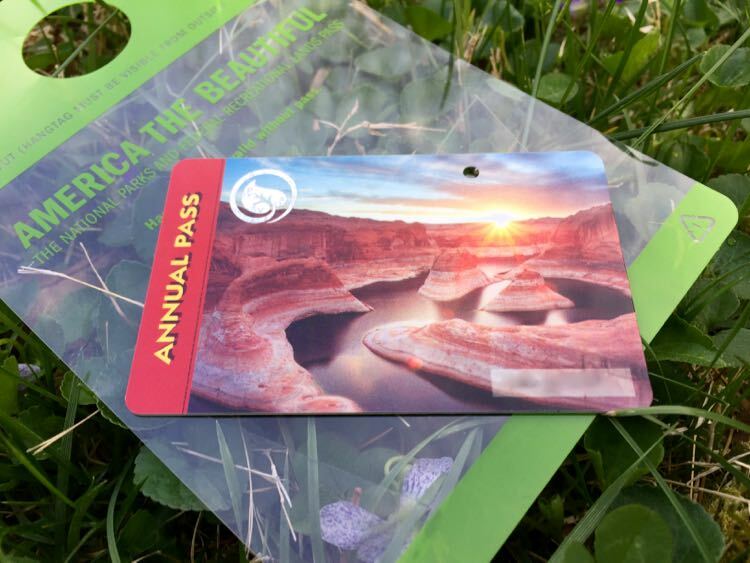 > Learn how to get a US National Park Pass and why you might be eligible for a discount now! There are a lot of National Parks in the Capitol region: 21 in Virginia, 16 in Maryland, 6 in West Virginia and 23 in DC! Not only are there many parks, there are a huge variety of park experiences to choose from—scenic trails, forests, battlefields, historic sites, monuments, and more. Of those 66 parks, 15 normally charge entrance fees that will be waived on 2019 National Park free entrance days. The remaining 51 national parks in the area are always free to enter. 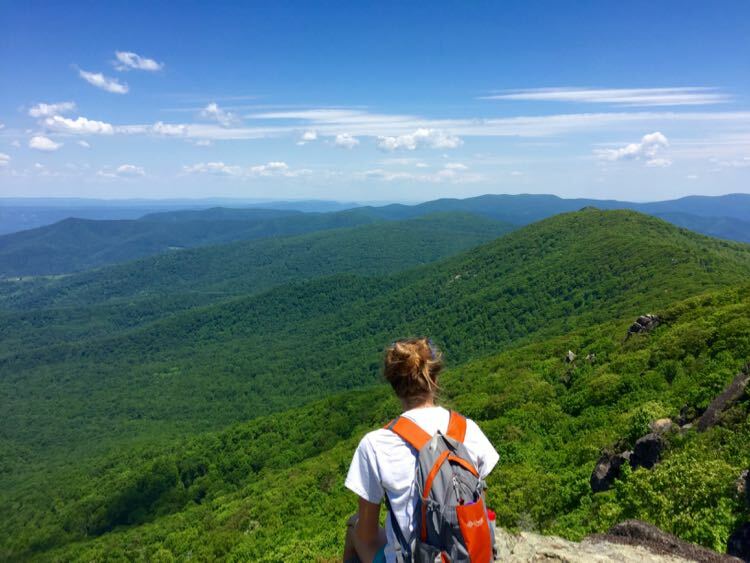 Here are four of National Parks in Northern Virginia that are worth a visit year round, especially on a free entry day. Beautiful Great Falls Park is part of the George Washington Memorial Parkway and it’s less than 20 miles from Washington DC. The normal entrance fee is $10.00 per car or motorcycle, $5.00 if you enter on foot, bike or horse, for a three-day pass. Fee-free days are a great value at Great Falls, even if you just make a quick visit to the waterfall overlooks. 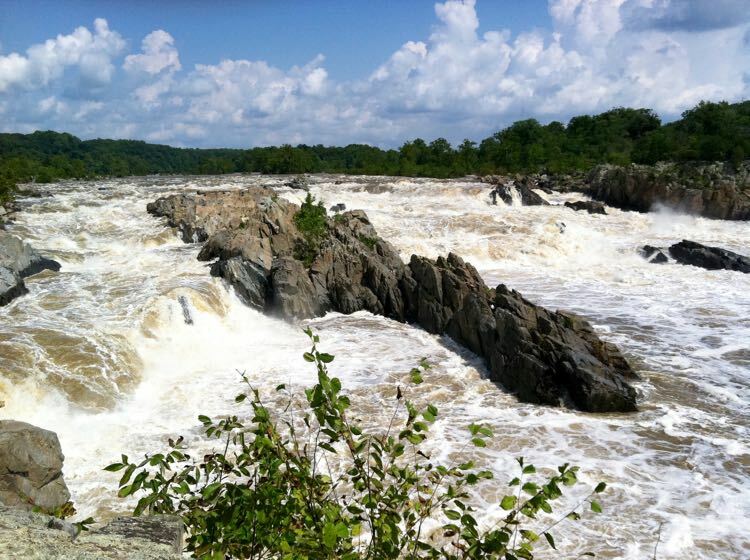 If time allows a longer visit, Great Falls has wonderful hiking and is a popular picnic spot. When the weather is rainy or chilly, you can still find a lot to do at the Great Falls Visitor Center and a quick visit to the falls overlooks. The Visitor Center features displays and movies about the park’s interesting geology and it’s connection to George Washington. Manassas National Battlefield Park has not charged an entrance fee since 2015, but it’s a great park to visit year round. Two important Civil War battles were fought on park grounds, and the site looks much as it did during the time of the conflict. 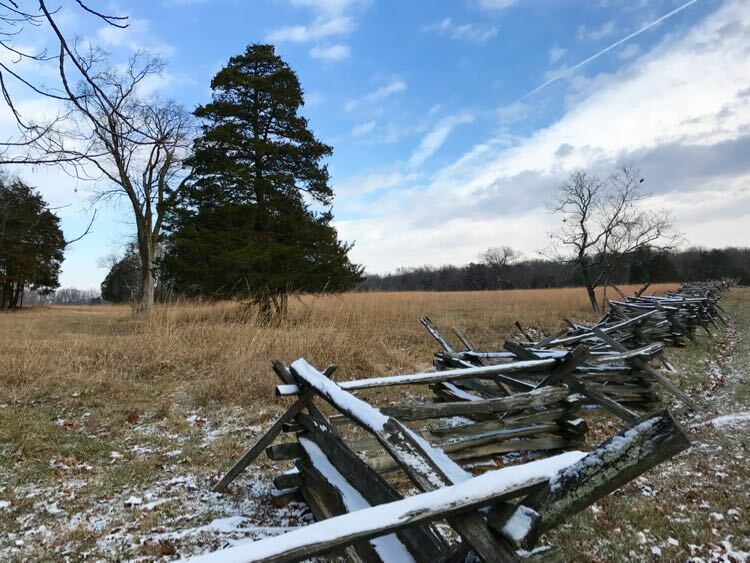 In nice weather, hike the 5-mile First Manassas loop trail, or a similar 6-mile trail that follows sites of the Battle of Second Manassas. If the weather is cold, visit the excellent displays at the Visitor Center and explore the 20-mile self-guided driving tour. Make your visit part of a weekend getaway to historic Manassas. Prince William National Forest is a Northern Virginia hidden gem. The park boasts 37 miles of hiking trails and a 9-mile scenic loop drive with dedicated bike lanes. Stop in the Visitor Center to get oriented. Displays explain the unique history and geology you’ll find in the park. 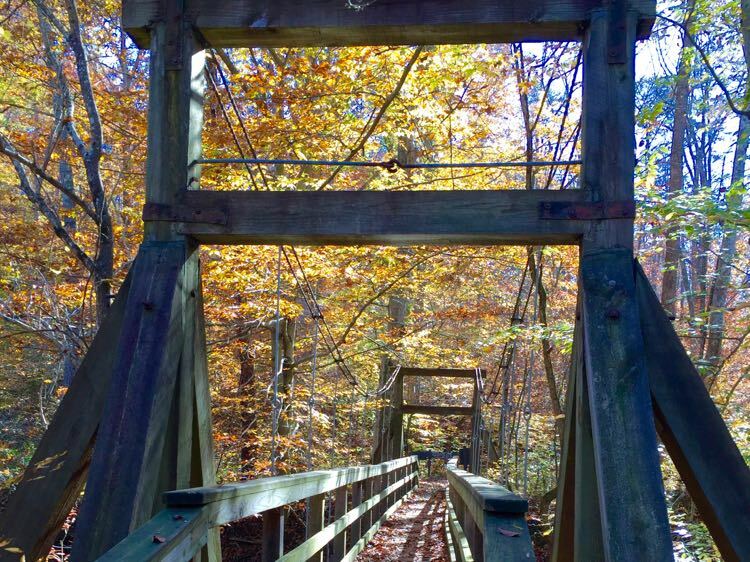 The Prince William Forest rangers can advise on the best trails and stops for your interests. The normal entrance fee is $10 per vehicle; $7 for individuals on foot, bike, or motorcycle; for a seven-day pass. 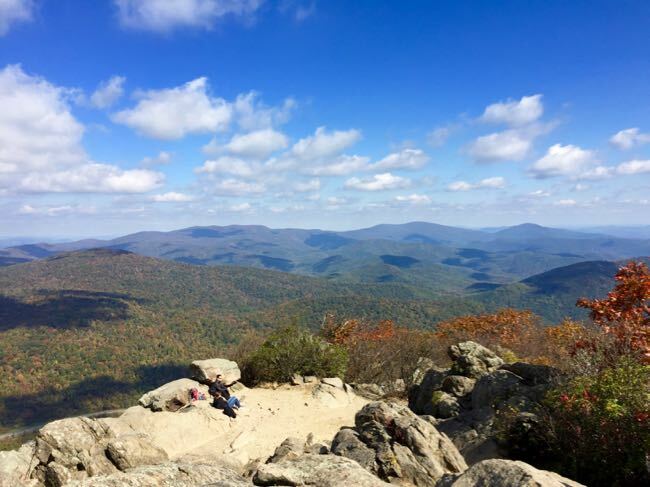 Shenandoah National Park is one of America’s true gems, and it’s a fantastic value on fee-free days. The normal Shenandoah entrance fee is $30 per vehicle, $25 motorcycle, $15 walk-up or bike for a 7-day pass. Even on cold winter days, the views along Skyline Drive are spectacular. The road often closes during icy and snowy weather, so check the Shenandoah Park website before you head out. Most of the indoor facilities are closed in winter. But the Byrd Visitor Center is open on weekends, providing excellent information about the history of the park. Extend your fun with a Shenandoah Valley Road Trip. 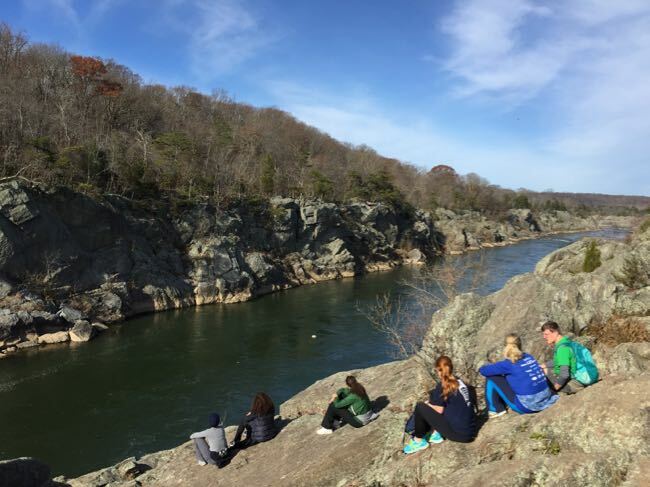 On the Maryland side of the Potomac River, the Chesapeake and Ohio Canal National Historic Park offers several trails leading to views of Great Falls and Mather Gorge. The popular Billy Goat Trail offers breathtaking views along the gorge. This is a fun but challenging trail full of rock scrambles, so hiking boots are recommended. The Visitor Center has interesting displays that explain how the canal lock system works. In summer, visitors can even ride through the locks on a mule-pulled canal boat. The usual $10 entry fee, $5 walk-up or bike, for a three-day pass is waived on fee-free days. Our US parks are a treasure. Happily, the Northern Virginia and Washington DC area offers easy access to some great park experiences. 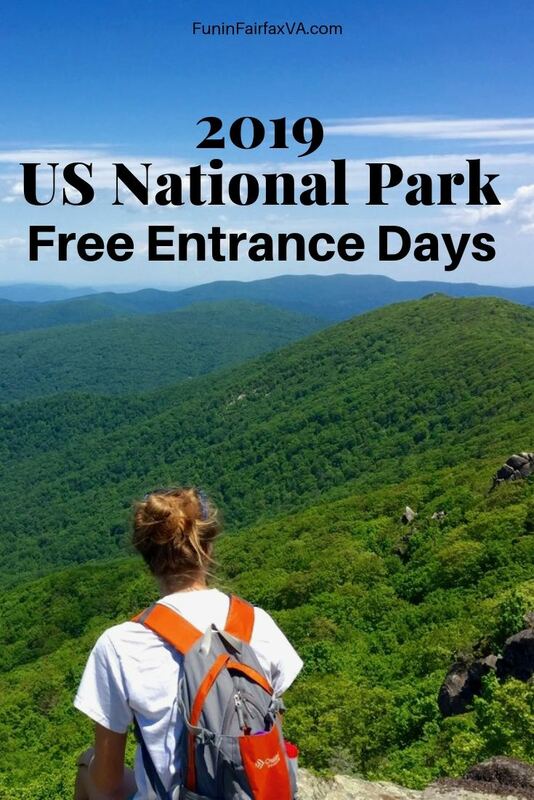 2019 National Park free entrance days offer one more good reason to get out and explore a park today. Follow Fun in Fairfax VA on Facebook, Twitter, Pinterest, and Instagram for more fun things to do, places to visit, and special events in the Northern Virginia and Washington DC area.